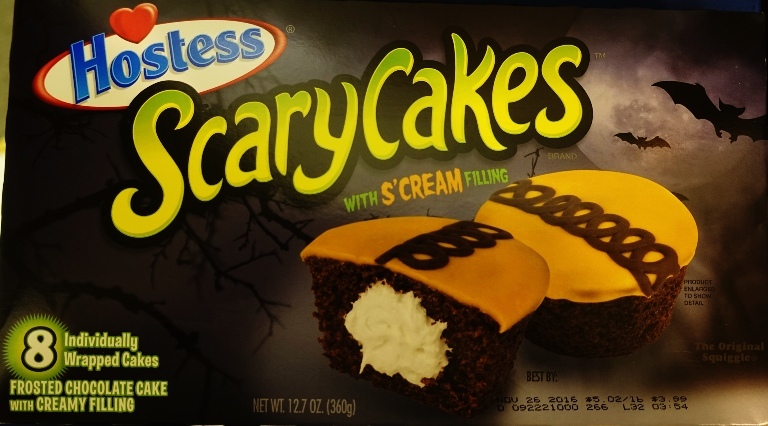 This year I again picked up some Hostess ScaryCakes. You could easily play spot the differences with these two boxes. They look a lot alike, but there are a bunch of differences. 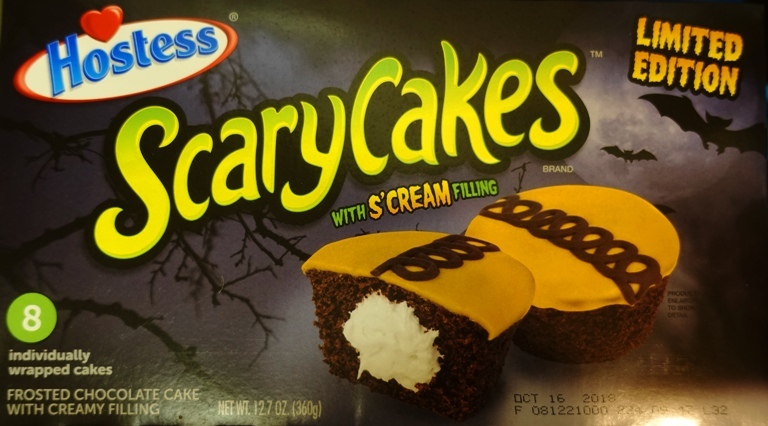 They cakes are individually wrapped as usual. The cakes look good. 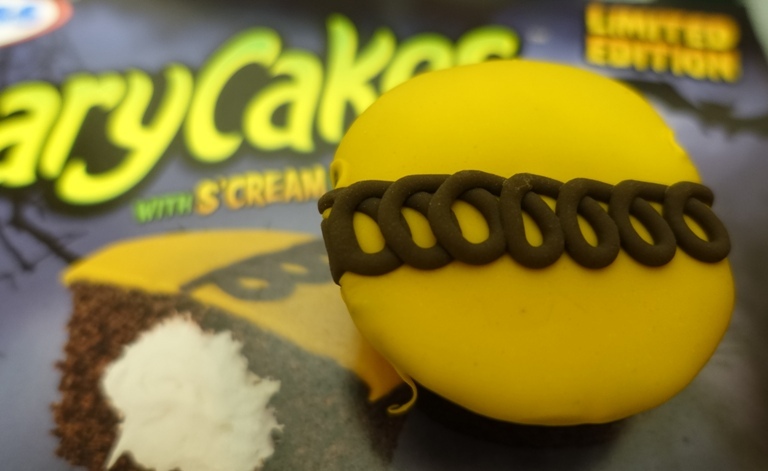 The frosting is uniform which is a big improvement on some earlier snack cakes. 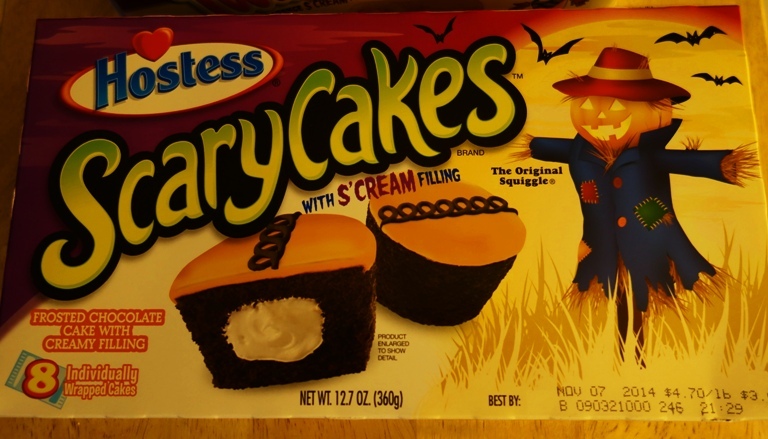 This entry was posted in Culture, Food, Holidays and tagged frosting, Halloween, hostess, Hostess CupCakes, Orange Frosting, original squiggle, ScaryCakes, Snack Cakes. Bookmark the permalink.